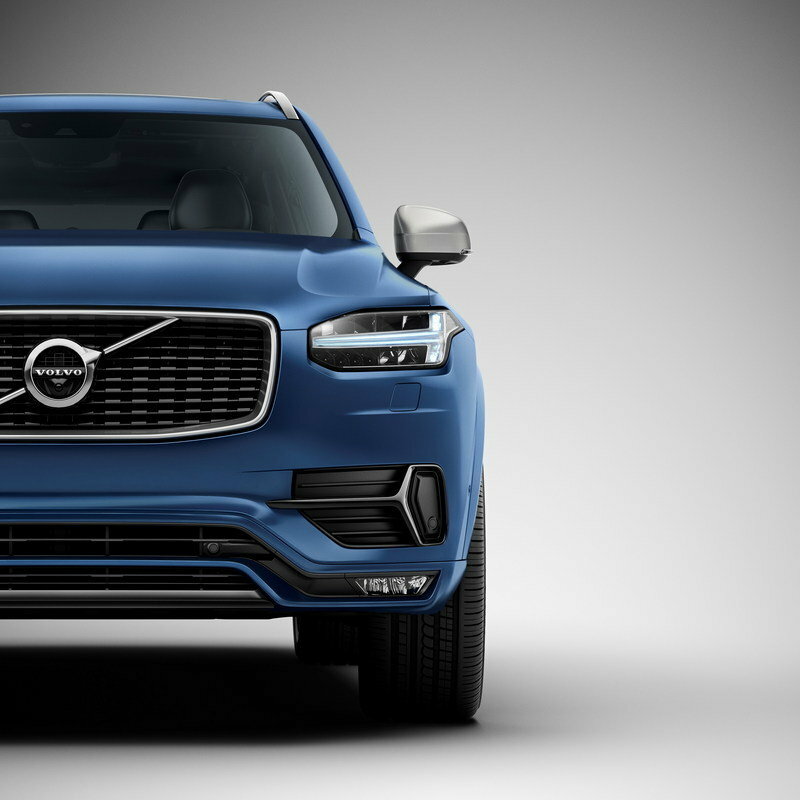 It's not even in dealerships yet, and Volvo is already improving upon the new XC90. Volvo turned a lot of heads in August 2014 when it revealed the new XC90. 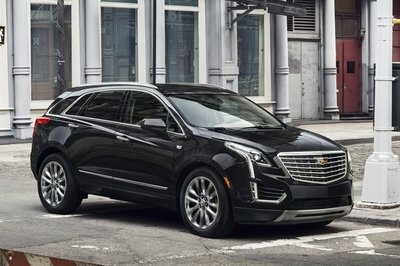 Who knew the Swedish automaker — known more for safe, boxy cars — had the creative juices to develop a luxury SUV that has garnered a lot of praise. Not long after the debut of the XC90, Volvo followed that up with the debut of the XC90 R-Design. The XC90 R-Design is an XC90 dressed up in a nice tuxedo. Ok, the bowtie might be a little too much but you get the point. 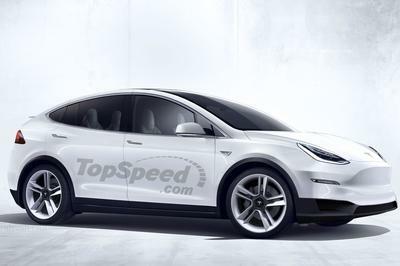 It has a bagful of extra options for the SUV’s exterior, interior, and wheels. There are just the right amount of modifications to get noticed without going overboard. The Volvo XC90 R-Design should begin production in May 2015 with deliveries to follow sometime in the latter part of the year. Updated 01/23/2015: We’ve added a series of new images from the car’s official debut at the 2015 Detroit Auto Show. Check the new images in the "Pictures" tab. 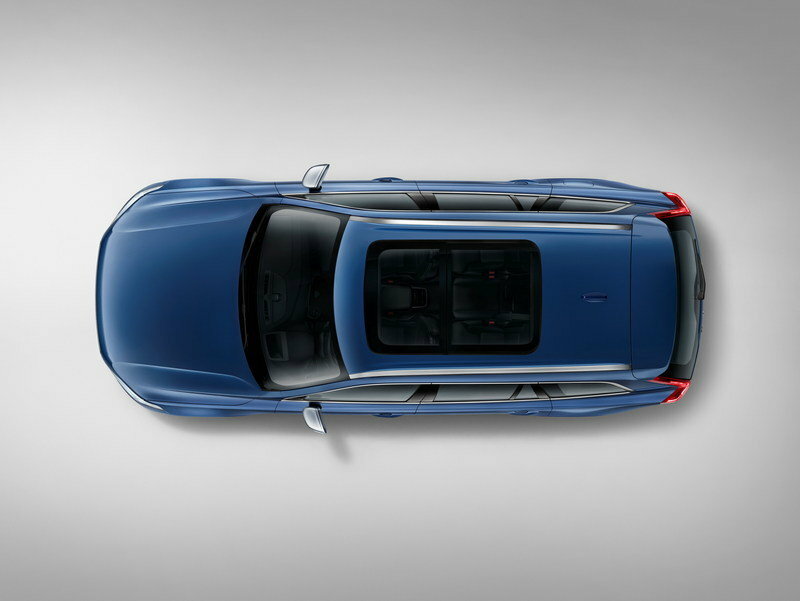 Click past the jump to read more about the 2015 Volvo XC90 R-Design. It’s important to remember that the XC90 R-Design doesn’t deviate away from the standard XC90 that Volvo unveiled in August 2014. What the R-Design trim does have are a number of distinguishing details that add to what’s already there. There’s a very subtle cosmetic upgrade in the XC90 R-Design, highlighted by a different front grille and a deeper spoiler up front to go along with matte-silver roof rails and door mirror caps. You’re going to have to take a closer look at this one, but you’ll also notice the appearance of a silk-like metal window surround and a new dual tailpipe surround specifically developed for the XC90 R-Design. Last but certainly not least is the addition of 20-inch alloy wheels that give the XC90 rims befitting its big-boy look. 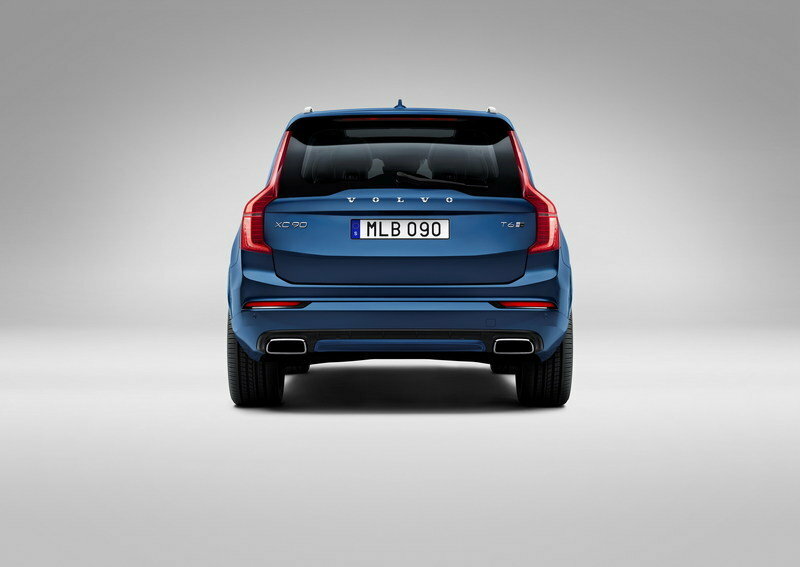 Hop inside the XC90 R-Design and you’ll be surprised by how clean and fresh looks relative to past Volvos. It’s got a nice touch of sportiness too, thanks to the addition of new sports seats dressed in a fine combination of Nubuck and Nappa leather. There’s also a perforated leather steering wheel and gear knob, although you might not realize their presence with all the R-Design branding details on the pedals, floor mats, gearshift knob, and illuminated tread plates. Another addition to the XC90 R-Design is the 12.3-inch infotainment system that’s sitting comfortably in the center console. Volvo says that it has a tablet-like touchscreen surface, which should make it easy to use. The good news about the Volvo XC90 R-Design’s powertrain options is that there are five options to choose from. The bad news is that none of them have been upgraded in any way. 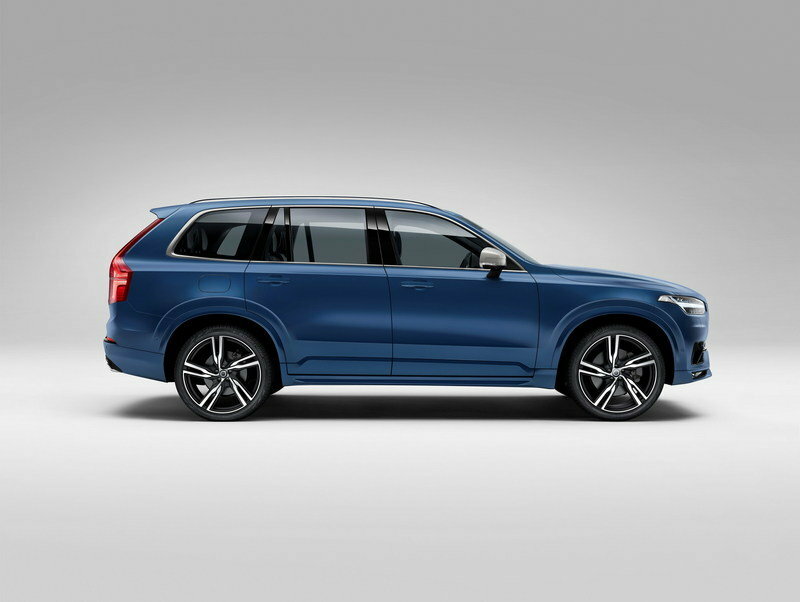 Still, we’ll take the good with the bad, particularly when the top-of-the-line trim of the XC90 comes with a 2.0-liter turbocharged engine and an 80-horsepower electric motor. That’s good enough to produce a combined output of 400 horsepower and 472 pound-feet of torque. If that’s a little too powerful for your taste, you can opt for either the T5 Turbo or T6 Turbo, which produce 254 horsepower and 258 pound-feet of torque, and 316 horsepower and 295 pound-feet of torque, respectively. Then there are the two diesel variants: the D4 and the D5 Twin Turbo. The former only nets 190 horsepower and 295 pound-feet of torque while the latter packs 225 ponies and 346 pound-feet of torque. Volvo hasn’t released the full list of prices for the XC90, although it did say that a loaded XC90 T6 AWD will retail for $48,900. 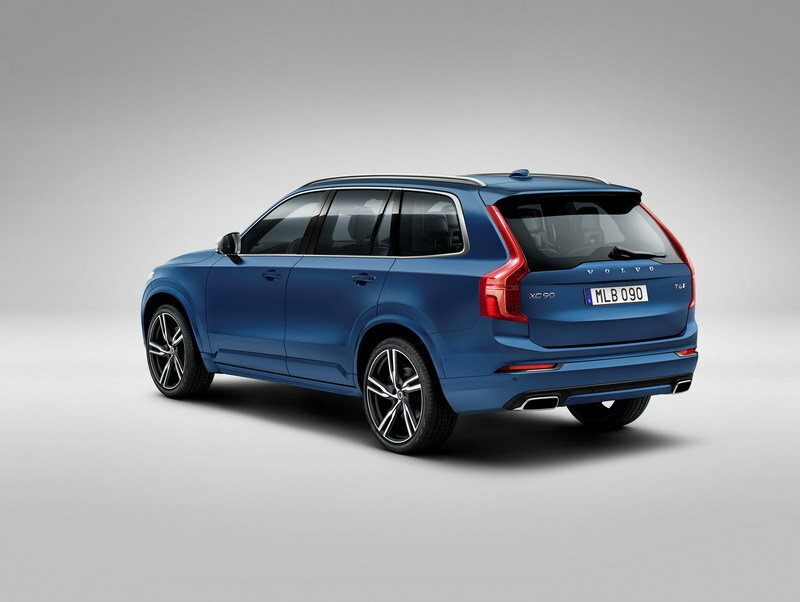 Based on the upgrades added into the XC90 R-Design, don’t be surprised if the price goes up to around $58,000. 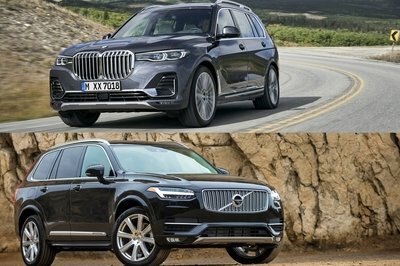 The Audi Q5 may be at a little bit of a handicap compared to the fresh Volvo XC90, but when the next generation Q5 arrives, that’s when this will be a real competition. Despite being a little long in the tooth when compared to the XC90, the Q5 still presents an imposing challenge to the new Volvo. Say what you want but the German automaker buyers still regarded as one of the best luxury brands in the market. The current iteration of the Q5 also comes with a wide variety of engine options, including a 2.0-liter TFSI that produces 220 horsepower and 258 pound-feet of torque. If you prefer something a little bigger, the Q5 also comes with a 3.0-liter supercharged V-6 that pumps out 272 horsepower and 295 pound-feet of torque. This engine provides the Q5 with enough juice to cover 0 to 60 mph in 5.8 seconds to go with a top speed of 130 mph. 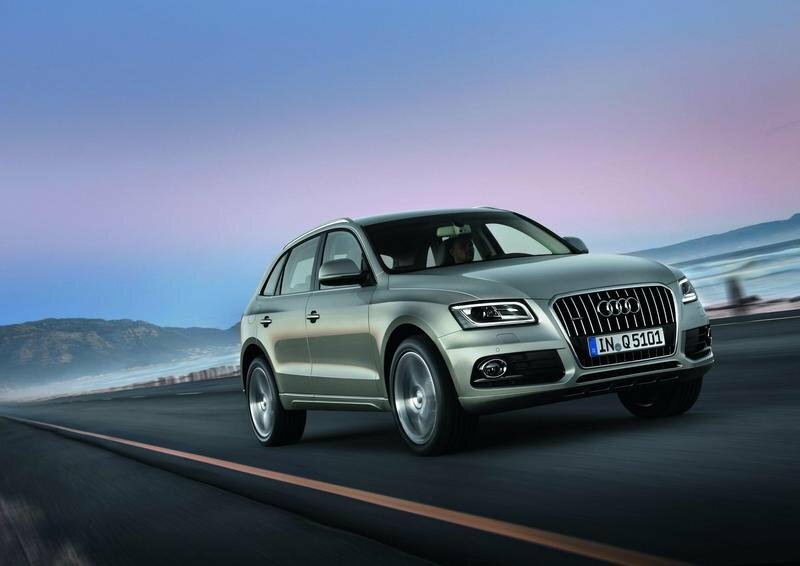 The Audi Q5 is priced modestly compared to the XC90 at just $38,900. If there’s a luxury SUV the Volvo XC90 needs to measure itself against, it’s the BMW X3. Fortunately for Volvo, the X3 just received a facelift in the early part of 2014. 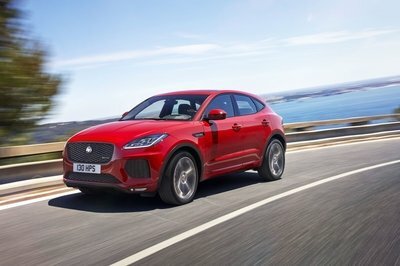 As expected, the 2015 X3 received plenty of aesthetic updates, none more noticeable than the new front bumper, the revised kidney grille, and the new circular-headlight configuration. 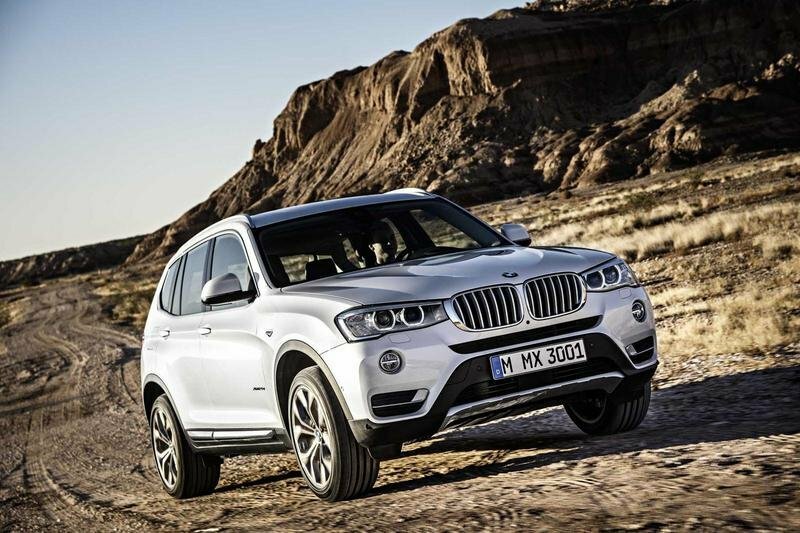 But the biggest change with the 2015 X3 is the engine, or engines in this case. The base model of the X3, the sDrive28, comes with a 2.0-liter, TwinPower turbocharged, four-cylinder engine that produces 240 horsepower and 260 pound-feet of torque. Customers can also opt for the xDrive28d, which develops 180 horsepower and 280 pound-feet of torque. Finally, the X3 xDrive35i takes its place as the top-of-the-line X3 that comes with a 3.0-liter, inline-six engine that produces 300 horsepower and 300 pound-feet of torque. Pricing for the BMW X3 begins at $38,400 for the sDrive28i and goes all the way up to $45,100 for the xDrive35i. I’m a fan of the Volvo XC90. If anything, it’s a far departure from what we’ve seen from the Swedish automaker in recent years. Once you add in all the goodies from the R-Design trim, you get a sweet package that brings out the sparkle in the XC90. I’m predicting big things for the XC90, especially the XC90 R-Design. Volvo deserves as much after what it created. Is it a one-hit wonder? 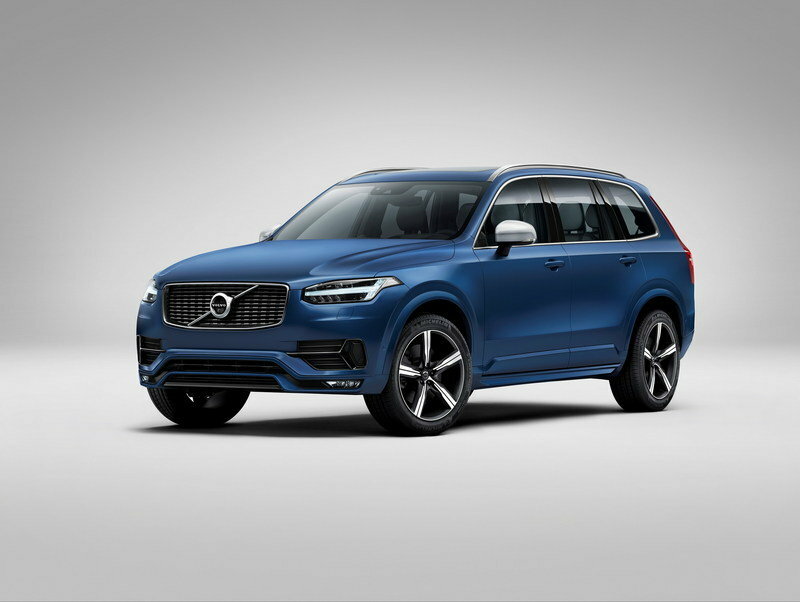 Volvo Cars has released the first images of the R-Design version of the all-new XC90, aimed at buyers looking for a head-turner that radiates a truly sporty and dynamic look. The visual promise of a dynamic ride is confirmed by the driver-centric interior featuring R-Design sports seats in a Nubuck and fine Nappa leather. A choice of Drive-E powertrains offering up to 400 hp and the completely new XC90 chassis ensure an agile driving experience. 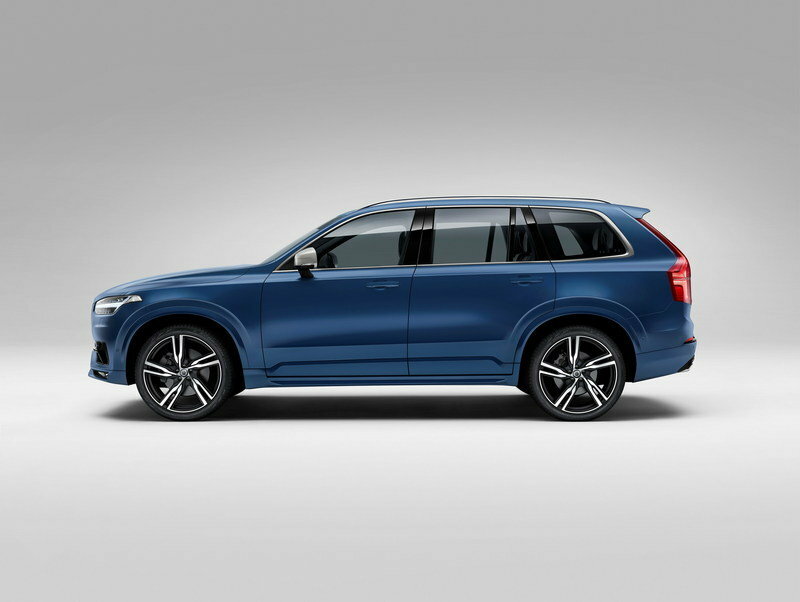 The release of the R-Design follows Volvo’s release of 1,927 individually numbered black First Edition XC90’s which were offered for sale exclusively online and sold out in 47 hours. The R-Design exterior includes a number of distinguishing details, such as grille, lower front spoiler, window in silk metal, and a R-Design dual tailpipe surround, integrated bright roof rails and mirror covers in matte silver. 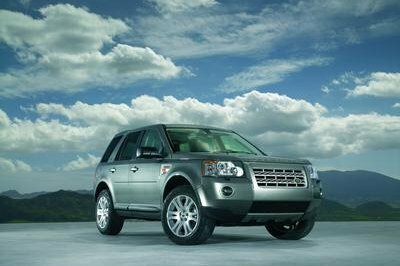 20-inch or optional 22-inch R-Design alloy wheels complete the stylish, dynamic look. Inside, the sports seats and perforated leather steering wheel are accompanied by special R-Design details, such as gearshift knob, pedals, floor mats and illuminated thread plates. The driver also gets an exclusive R-Design leather key remote control. The tablet-like touch screen in the center console and a 12.3-inch fully graphical driver display are of course included in the R-Design. The driver display also features a unique R-Design theme. The heart of the all-new in-car control is virtually button free and represents an entirely new way for drivers to operate their car and access a range of Internet and cloud based products and services. 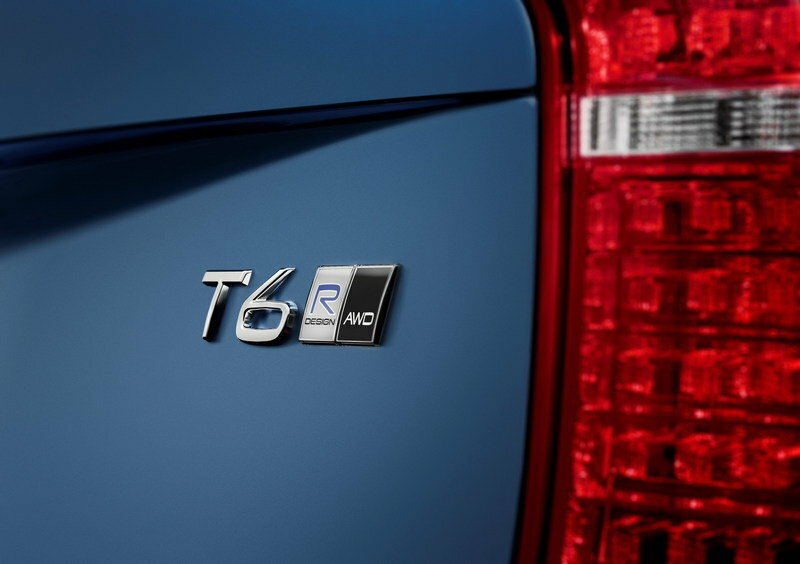 R-Design is one of three choices in Volvo Cars’ reinvented trim level strategy available in the U.S. The very competitive Momentum trim level is a well-contented vehicle designed to meet the needs of consumers. The Inscription trim level is designed for customers that have a focus on craftsmanship, increased comfort and exclusive features not found on Momentum or R-Design. R-Design’s focus is on a sporty and dynamic aura. “In principle, we have replaced the previous top level with the Inscription and R-Design versions. Both of them feature an elevated content, carefully chosen to emphasize each of their distinctive individual personalities,” said Alain Visser.